We’re a non-profit organisation registered with the Cambodian Government as a local non-government organisation (NGO) based in Phnom Penh, Cambodia. We have a Memorandum of Understanding (MoU) in place for all project initiatives and we value full transparency and accountability. RAW Impact partners with GDG in Australia and the USA, which enhances project accountability and transparency. In Australia, GDG is an Australian NGO approved by the Minister for Foreign Affairs with Deductible Gift Recipient (DGR) status. In the USA, GDG USA is a public charity and tax exempt under IRC 501(c)(3). Donations over $2 to GDG with a preference for RAW Impact’s projects (J790N RAW Impact Projects) are tax deductible in Australia and the USA. Donors in the UK may be eligible for tax effective giving. Valuing each and every supporter we strive to gain maximum impact for every dollar raised and invested. We realise the exceptional value of a skilled and highly efficient administrative team as well as a strong strategic projects team in-country. Our income is split 7.5% for our compliance and administration, 10% for growth and awareness and 82.5% to RAW Impact projects. Our philosophy is to consider the unique needs of a village and break them down into achievable elements using a multi-pronged approach with our program pillars: Sustain, Educate and Protect. In conjunction with village elders, commune leaders and local stakeholders we complete RAW Family and Community Assessments, evaluating each family and the overall community so we better understand who we’re working with, their true needs and the extent of this need. We consider the potential to build key relationships, access to quality infrastructure, good education and clean water as well as the risk of overlap with other organisations. A Strategic Village Development Plan (SVDP) with a three-year timeframe is drafted in conjunction with all stakeholders. This plan sets out budgets, expected goals and timeframes, expressing the pathway to sustainability along with our exit strategy. The SVDP is implemented with our experienced local staff, professional volunteers and village leaders, local partners and community input. Evaluating and tracking our outcomes and impact, we adjust accordingly to maximise results, capture lessons learned and scale success. We leverage our Media team and online platforms, giving timely feedback to supporters and engage those joining us in Raising Awareness Worldwide, to increase our capacity to reach more villages, achieving lasting social impact. We know we don’t have all the answers so we’re seeking to partner with like-minded organisations, individuals and the villagers themselves, who are coming together to find innovative solutions to their toughest situations. We partner with first-world companies, schools, universities, churches and other groups to bring high-level, professional thinking and strategies to achieve better results and deeper impact. With a Crew of 30 based in Cambodia and 10 working from Australia, we’re privileged to work with a diverse International team of passionate staff and volunteers from around the world including some amazing Cambodian Nationals. 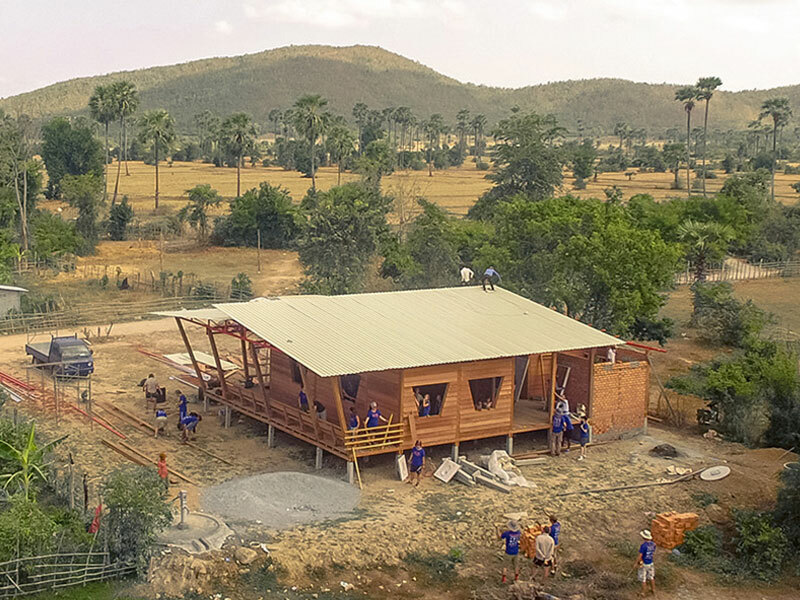 We plan to continue expanding our team across Cambodia, Australia and other locations abroad! RAW Impact is proud to be a partner for Project J790N RAW Impact Projects, with Global Development Group (ABN 57 102 400 993), an Australian NGO approved by the Minister for Foreign Affairs carrying out quality humanitarian projects with approved partners and providing aid to relieve poverty and provide long term solutions.